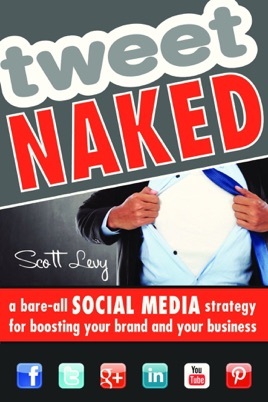 Presenting a fresh perspective on a common challenge, author Scott Levy delivers a new answer to every business owner’s social media question — how can I make social media work for me? Levy’s solution takes a cue from another explosive media phenomenon: reality TV. Levy invites readers to create the same magnetism that pulls reality TV viewers in by using the same tools: transparency, authenticity, and a human element. Readers learn how to use social platforms to tactfully share, or bare, their brand, inciting consumer action. Readers also learn how to strip their social media strategy down to what works for their brand, exhibit transparency that engages followers on all popular social channels, and create brand consistency across all social platforms. Other topics cover engineering positive brand impacts and avoid devastating damage, using crowdsourcing and retweets, and lifting a brand from relative obscurity to significant popularity. Real-life examples relate well-known business brands such as Sharpie and Jet Blue, and personal brands such as NFL Runningback DeAngelo Williams. Social media marketers learn exactly what it takes to seduce the masses and turn them from passive followers to brand champions and loyal brand buyers. Awesome read, and extremely informative for new and veteran twitter professionals!